Today is a great day! 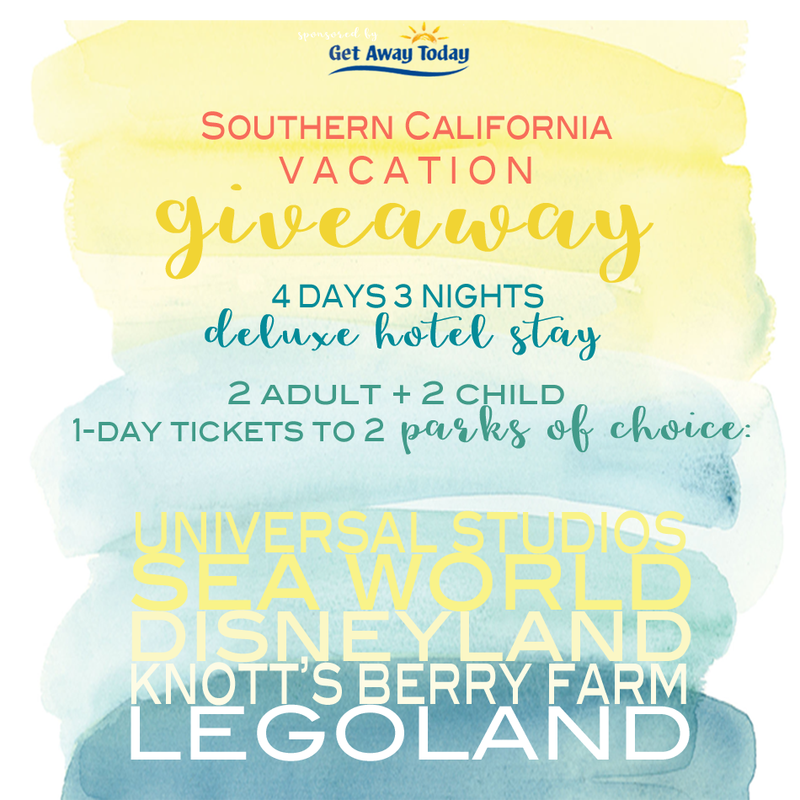 I have teamed up with Get Away Today and some awesome blogger friends to bring you an amazing giveaway! 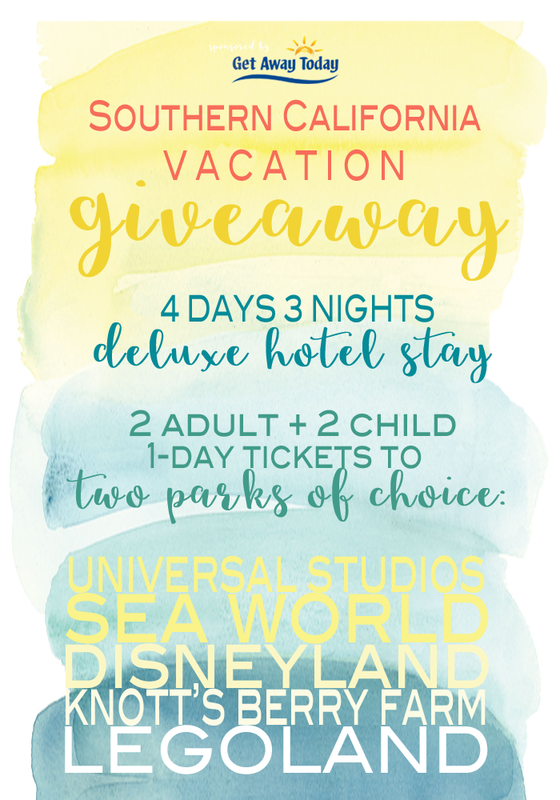 I’m so happy to be able to give one lucky winner some fun time away with their family. One Lucky Winner will get: $1500 Value!! 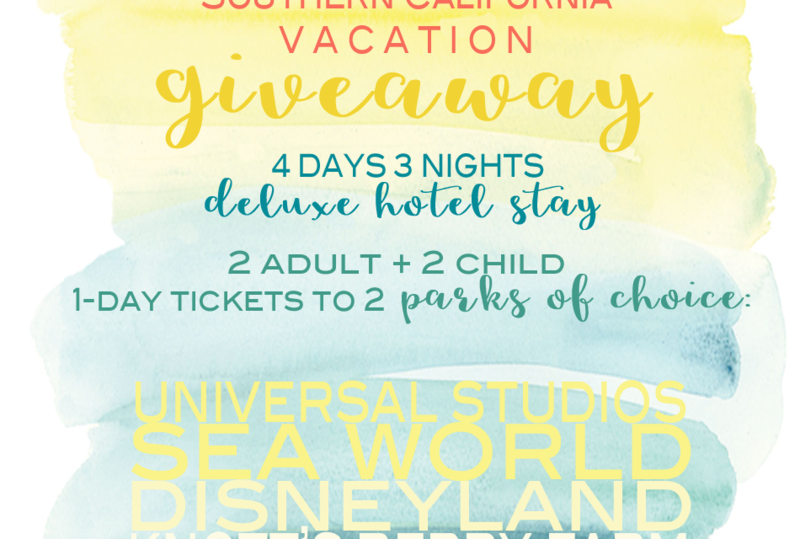 Choose from tickets to Disneyland, California Adventure, SeaWorld, Legoland, Universal Studios and Knott’s Berry Farm!! Was there ever a winner announced? Thanks! This sounds awesome! Fingers crossed! What an amazing and generous giveaway!!!! Thanks for the opportunity!